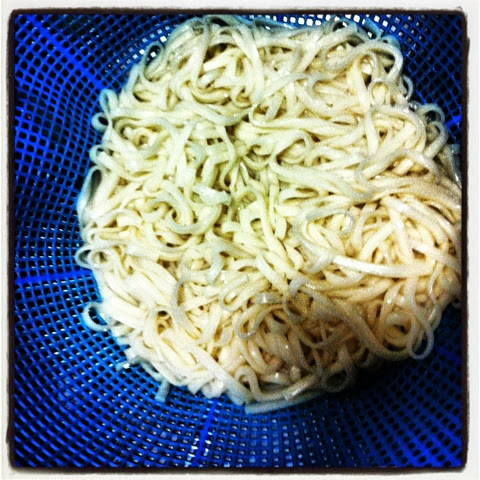 Today Jo's mother made korean noodles kalguksu, with anchovy and dasima for dinner. What is that, you may ask? 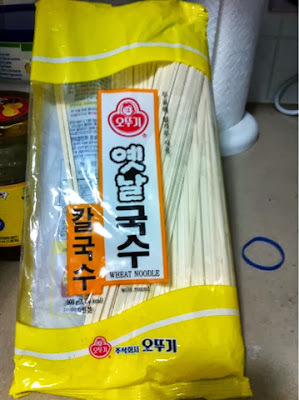 It is.... Kal = knife, guksu= noodles. This looks pretty yummy, isn't it? 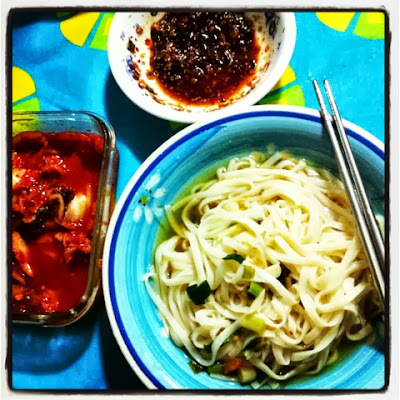 It is served with kimchi. 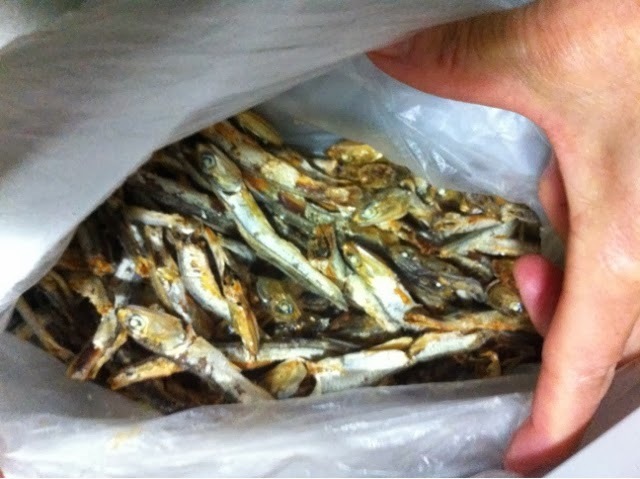 Cut bird chilli with soy sauce is also used as as a dipping. 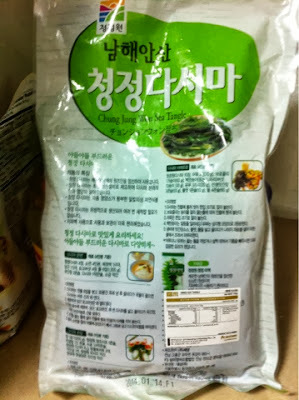 Yae Nal kalguksu - this was the one she used. 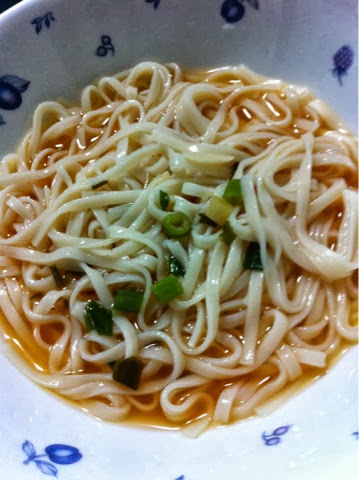 However you can use other variations of noodles according to your own preference. First fill a pot up with water and heat it up on the stove to boiling point. 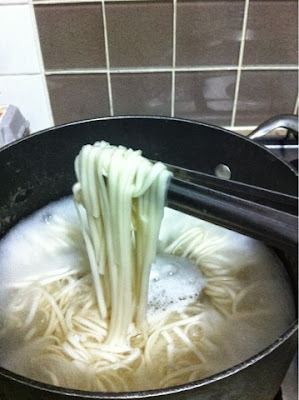 When noodles reach this texture, the pot is ready to be removed from the fire. 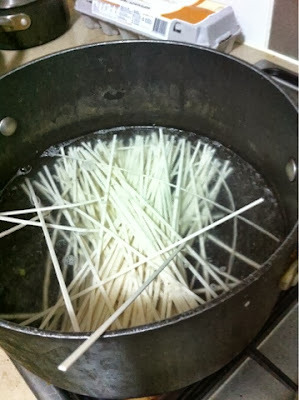 Drain the noodles in a colander. Cool it in a basin or bowl of cold or cool water. 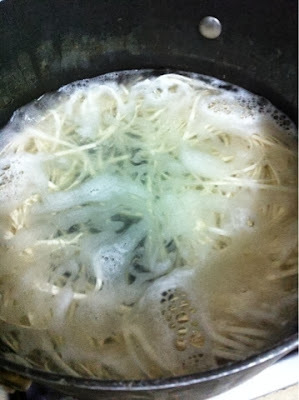 The coldness of the water will enable the cooked noodles to become chewy. 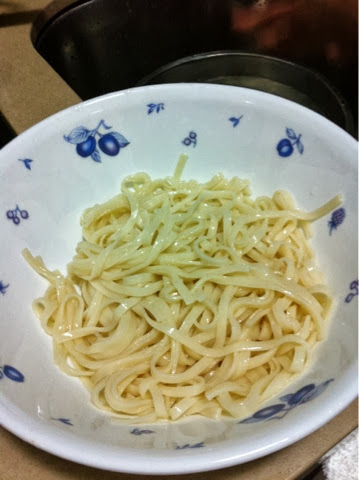 Then serve it into a bowl. use DaSiMa Sea Tangle. It is a kind of sea weed typically used for flavouring Korean broths. Anchovies - bigger in size for use in broths. In a pot, first stirfry the garlic and dried anchovies. 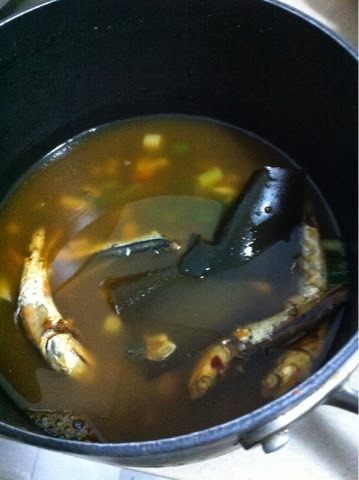 Then add in water to the pot and leave to boil on high heat for 10 mins. 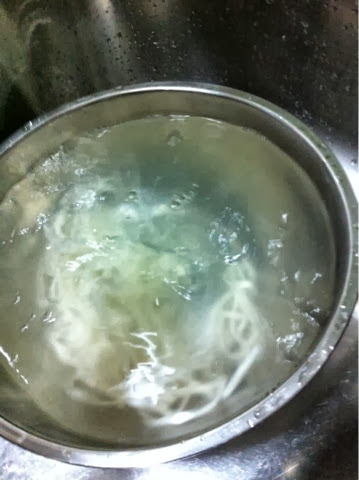 When the soup is at boiling point, add in the sea tangle DaSiMa. Leave to boil on medium fire. This is for at least another 5 to 10 mins. 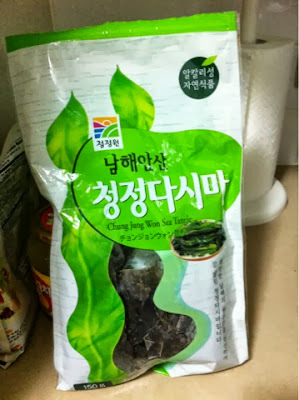 Add in soy sauce and salt to to taste. Cut spring onions can be added to the broth according to your preference. The kalguksu is ready to be served. Personal: Blood tests confirm PCOS.